but we need your help to get it to the next level! We've teamed up DJ BBQ, aka Christian Stevenson, to transform Fire Station Café into an all-day restaurant and cafe celebrating food cooked with fire - the best bread, coffee and wood-fired pizzas as well as burgers and BBQ food. To achieve our dream, we are launching a crowdfunding campaign on Kickstarter to raise £75,000 on April 4th. We already have a home on one of Britain’s best high streets but we’d love your help to buy furniture and equipment to transform the space into something to really special. The rent and running costs are already covered by us, so every penny you pledge will go to creating a unique restaurant. Together we are the best bread guy and best meat guy in the UK! David Wright is a third generation baker and founder of Fire Station Coffee Roaster, whose grandparents founded Cake Shop Bakery in 1947. DJ BBQ (aka Christian Stephenson) is a live fire chef and pit master with a career fronting shows for MTV, Channel 4 and Channel 5 and now with his own YouTube channel with 175,000 followers and a regular on Jamie Oliver’s FoodTube. 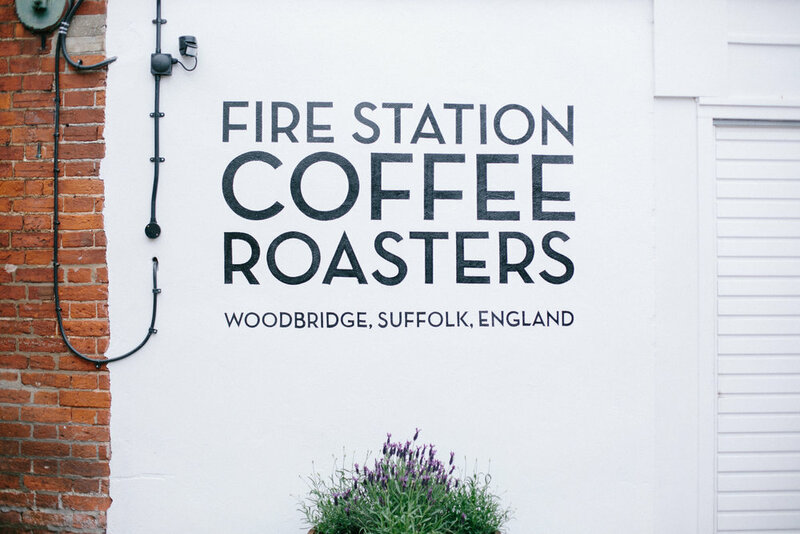 Our Kickstarter campaign goes live on April 4th and we have dozens of exciting rewards as thanks to anyone who invests from a Fire Station coffee subscription, a shout out on DJ BBQ’s YouTube channel right, right up to an exclusive behind-the-scenes day learning to roast coffee with us. Follow our progress on our Kickstarter page or on our Blog! In 2016 with our cafe having been open for three years and on a quest for high quality, delicious coffee, we decided to build our own little roastery out the back. 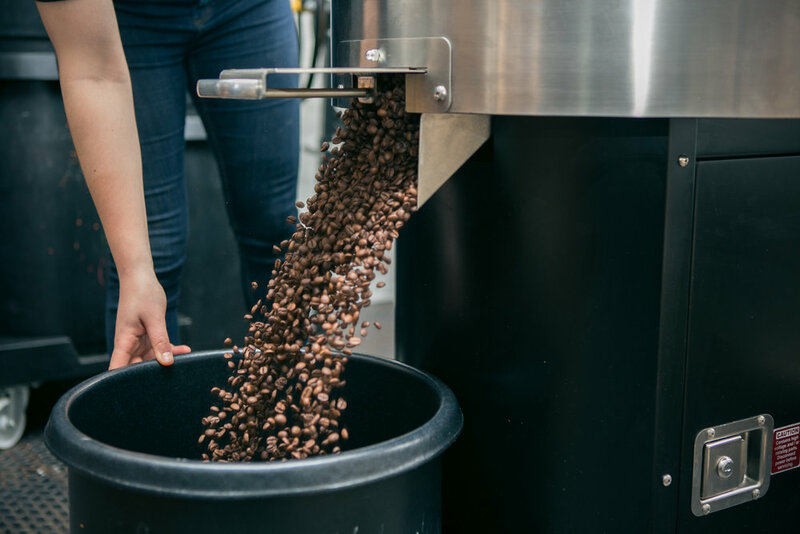 We roast super fresh coffee every week in our beasty Diedrich IR-12 for brewing at home, the cafe, retail, local pit stops and far away friends. Check out our online shop to see what's on offer at the moment. 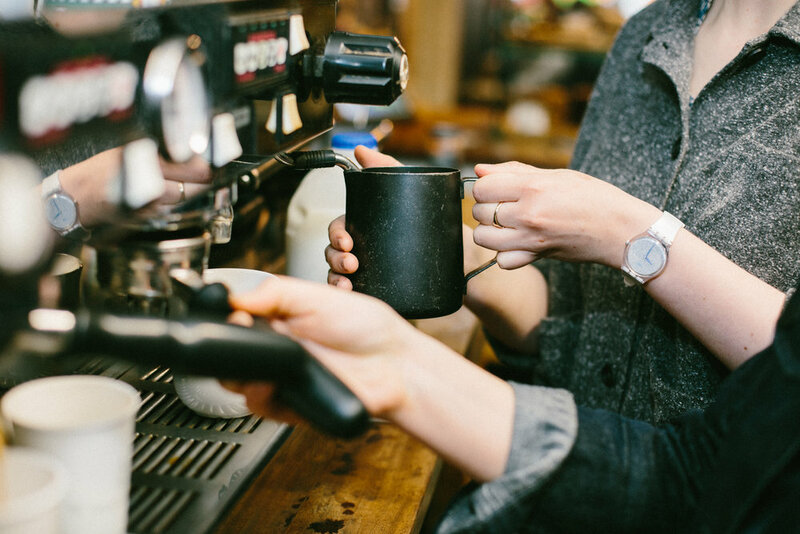 We think that speciality coffee should be the norm. We work with really fantastic green coffee importers who work even harder to ensure the producers & their communities get the best return possible, endeavouring for transparency, sustainability and continued improvement throughout the coffee production chain. 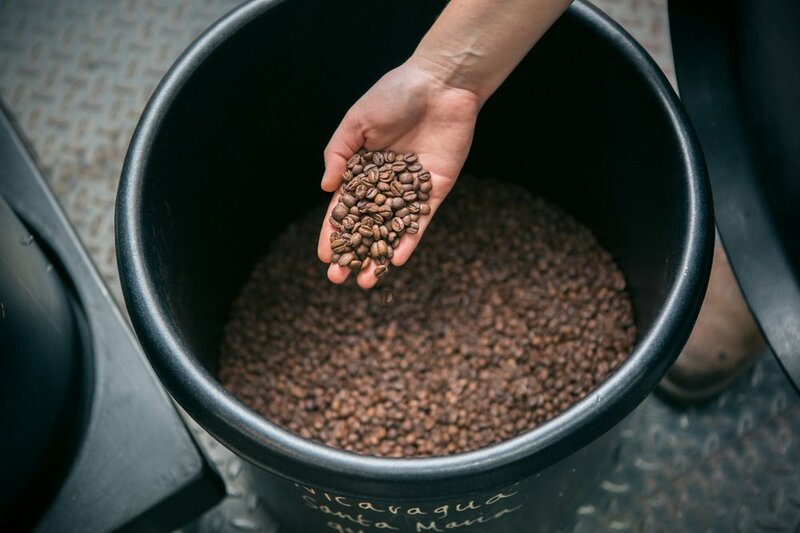 We adapt the way we roast to better fit each of our raw coffee's needs to bring out all of their delicious characteristics without imparting too much flavour from the roasting process itself. We then pack, stamp and label all of our coffees ourselves, by hand, in the roastery. We believe that tasty, fresh coffee should be a breeze to brew and enjoy, however and whenever. Our coffee is available wholesale too - get in touch for more info. The Fire Station Cafe opened in 2013. From humble beginnings our small team has always aimed to provide the community with a friendly and inclusive space to enjoy great coffee, food and company. The cafe is now famous in the local area for its creative vibe, relaxed atmosphere, wholesome food and full coffee menu using our own single origin coffees. All the bakes and sweet stuff are from The Cake Shop Bakery, our award winning neighbours. We also have free Wi-Fi, daily papers, are breastfeeding & small child friendly and welcome well behaved dogs. The cafe doubles up as a gallery for Planet Patrol during the week. You can find an array of eclectic last edition prints and one offs both in beautiful, hand painted frames or unframed, all ready to take home. We also dedicate space on the walls to exhibit local artist's works from time to time. We're more than happy to answer any questions so please get in touch if you would like to know more about our menu, products or services.